Tisane tea, more commonly referred to as herbal tea, is not made with the leaves of the Camellia sinensis tea plant. Rather, it is made with herbs and consists of dried leaves, flowers, bark, fruit, roots, and/or seeds. The word "tisane," pronounced tea-zahn, comes from the Greek word, ptisane, a pearl barley drink. A tisane consists of either a single type of herb or a blend of different herbs. You can also find tisane blends that contain different parts of the same plant. Some tisanes are prized for their medicinal properties, while others are consumed for pleasure. In traditional Chinese medicine, herbal teas are prescribed to address a variety of health concerns. Although the health properties of tisanes made with temperate plants have been studied extensively, the properties of tropical tisanes are not as well known. You can prepare tisanes as an infusion or a decoction. To prepare an infusion, pour hot water over the tisane and let it steep for a while. Then, strain the tisane before consumption. To prepare a decoction, place the tisane in a non-aluminum pot with cool water, put the pot on the stove, and bring the water to a boil. Boil the tisane until two-thirds of the water has evaporated, and strain before consumption. Avoid using an aluminum pot when you prepare herbal decoctions because the aluminum can produce a toxic substance when it reacts with certain herbs. Brewing times vary widely, depending on the types of herbs you use. Some herbs only need to be steeped for a couple of minutes, while others need to be steeped for up to 15 minutes. 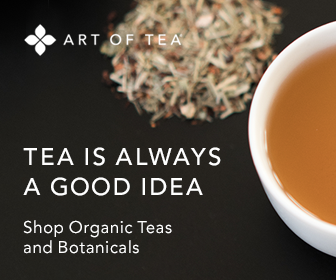 Tea purveyors typically provide specific instructions on how to brew the tisanes they sell. Most herbal teas call for one or two teaspoons of dried herb per cup of water. Double that amount if you’re using fresh herbs. The majority of herbal teas are brewed in boiling water and steeped for approximately five to ten minutes. You may need to experiment a little in order to brew the perfect cup.